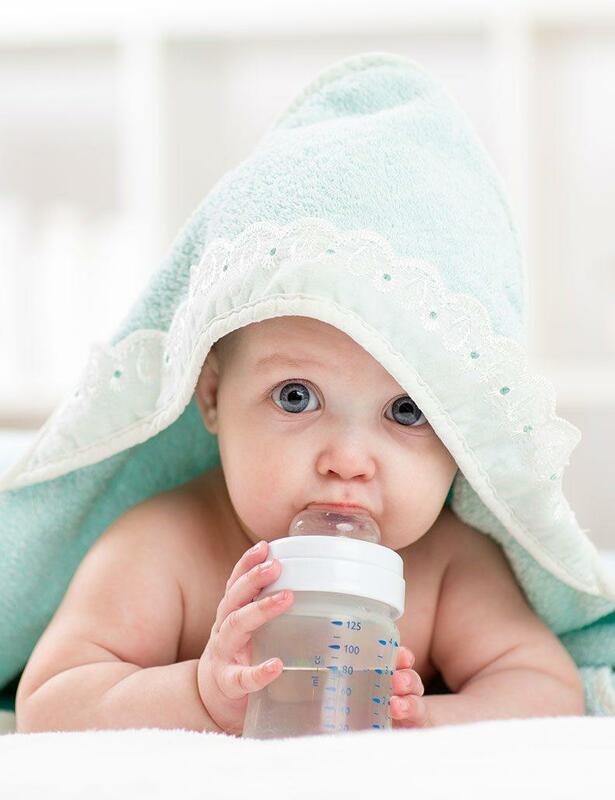 Many liquids during the first six months for your newborn can be upsetting and lead to complications which we would want to avoid at all times. Which is why, Prega News, India’s best pregnancy test is here to provide you with a few useful tips regarding the liquids to keep your baby away from without having to look for a pregnancy guide. Even though fruit juice might seem the best option for your baby at the time, it might not be the healthiest. Fruit juice contains a high amount of sugar and a less amount of fiber. The latter is what your baby really requires so that he can grow according to a normal baby calendar. Need we even say more? Almost every pregnancy guide that talks about pregnancy care tell you to keep aerated drinks away from your baby always. They take the place of vital nutrients your baby needs and may also lead to tooth decay and weight gain which your baby doesn't need. Another outright NO in the books is towards caffeinated drinks. Avoid giving your baby tea or coffee, even a spoonful is bad. Just like a pregnancy diet, your baby also needs a rich diet of nutrients and caffeine just won't do. Why flavored milk you ask? It’s because of the high sugar content that is present in it. Your baby’s body isn’t able to break the sugar down easily. Plus, a mother’s milk is the healthiest option for your newborn baby. For more tips on breastfeeding positions, you can check here. Yes, water isn’t the best liquid to give your baby at least till they are over six months old. Water dilutes the sodium balance in the body, thus upsetting the electrolyte balance which may upset your baby. Although, once your baby grows older, there isn’t really a substitute for water but for now, stick to breastfeeding your baby. Let us hope these baby tips could help you. To read pregnancy tips and learn more about pregnancy and about pregnancy care, don’t forget to join us on our social channels on Facebook and Twitter.